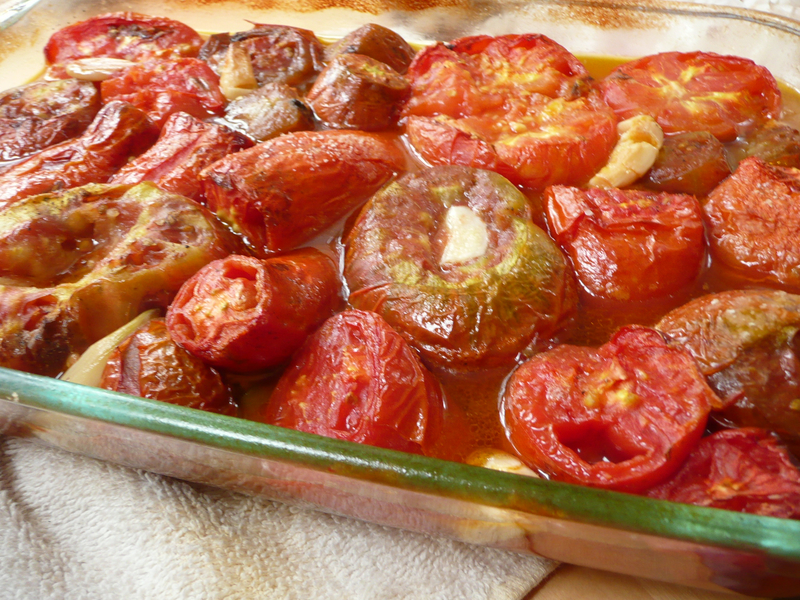 What temperature did you use to roast your tomatoes? I tried this today after finding tomatoes in quantity. I picked the roasting temperature kind of at random and used 400 to start, with a period of broil and a period of 350 afterward, but I never did see liquid around the tomatoes; it was released but burned off quickly. 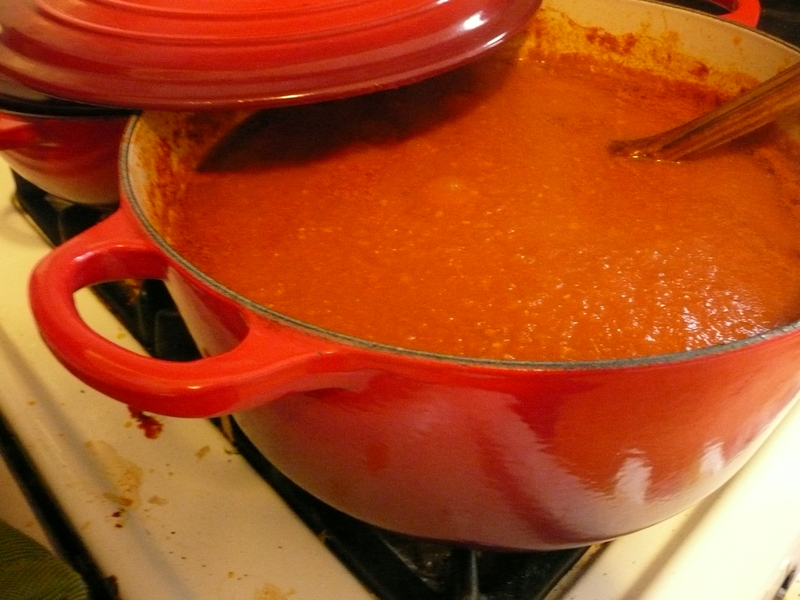 That said, the sauce is really tasty and didn’t need more simmering afterward because it was already the right texture. 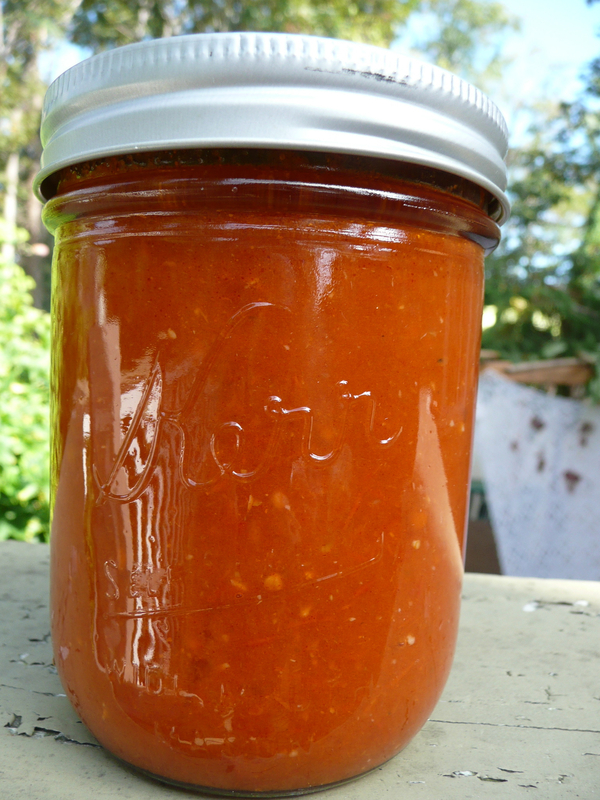 And now I smell delightfully of tomatoes and garlic. Yum. Thank you. I did mine at 375. At higher temperatures, it seemed to bubble pretty wildly. Were yours in a deeper baking dish, like a Pyrex? That’s what holds the liquid when I do it. Ah, I used 3 shallow dishes. That would seem to be the issue.